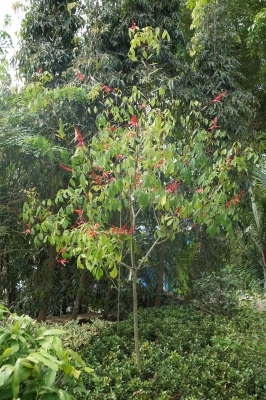 Young, cultivated, flowering tree in the Botanical Garden Nong Nooch. Pattaya. Northern S. America - Guiana, northern Brazil and Venezuela.